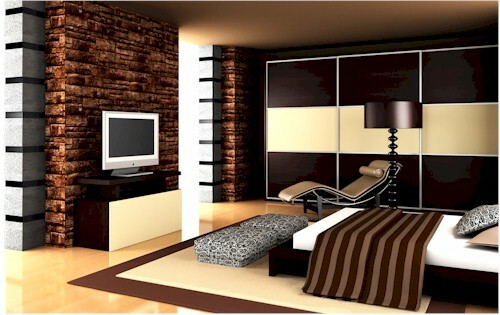 All modern flat screen TVs and many AV components now incorporate USB sockets. The USB power connection allows tidier wiring and less plug sockets required. If you prefer mains adapter, please select from drop-down box. 15mm x 25mm. See illustration below. The receiver head is attached to a hinged self-adhesive mounting plate and can be fixed straight or any angle up to 90 degrees. See illustration below. Easily attached using the self-adhesive pads. Where infrared remote control signals need to reach entertainment equipment within an enclosed cabinet in the same room, the Niche-Mode IR Extender Kit gives you control whilst everything is hidden away. The all-in-one IR Extender Kit is simple to install and you're up and running in minutes. It's simple...... wired systems are far more reliable. Most wireless receiver boxes are as obtrusive as the component you want to hide away, where as the Blue Eye Stealth IR Receiver head is tiny and inconspicuous. 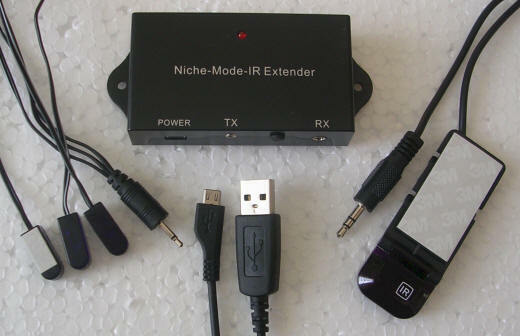 The Niche-Mode IR Extender Kit is compatible with all standard IR remote controls including SKY, SKY HD, Virgin+, Virgin HD etc. as well as all manufacturers DVD players, Bluray, amplifiers etc.